1. 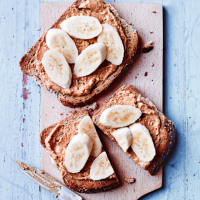 Serve the toasted bread topped with the cashew butter and slices of banana. You could also try almond butter as an alternative.